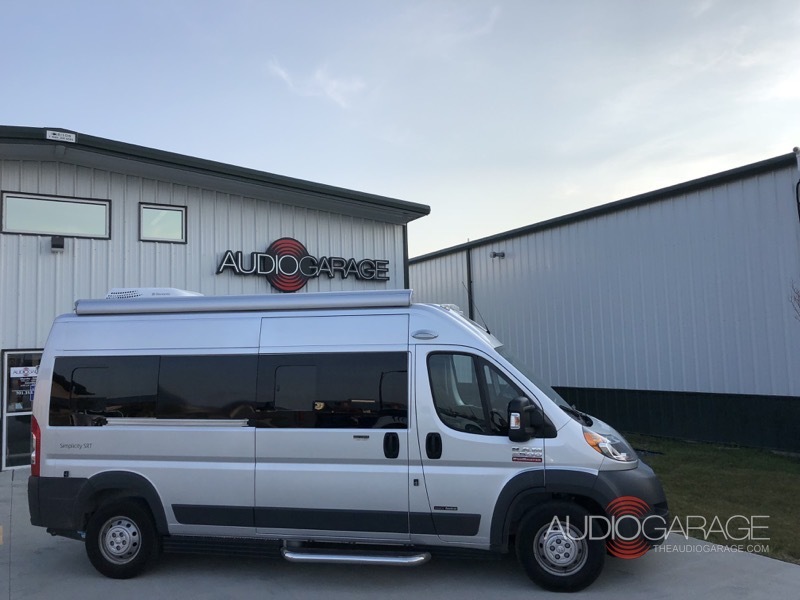 A client from Fargo recently contacted Audio Garage about upgrading his camper’s A/V system with navigation and a backup camera. 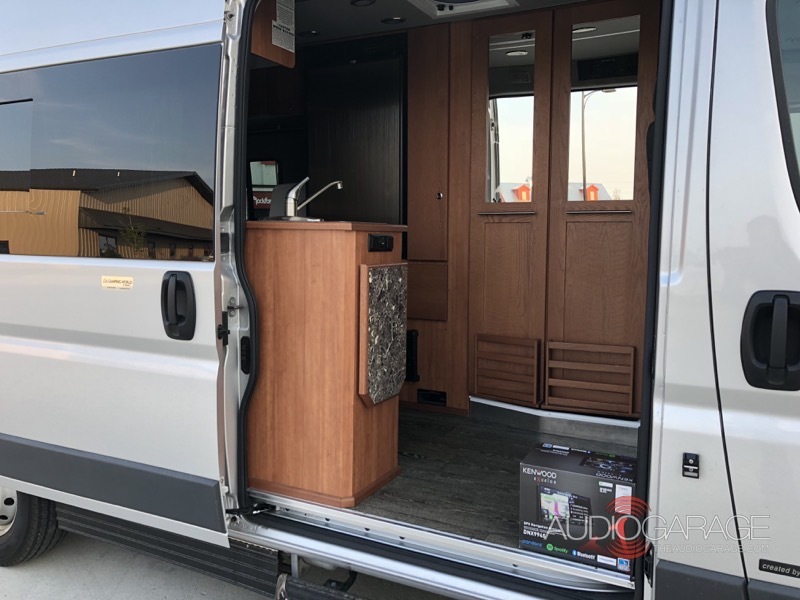 We had a look at the Ram ProMaster-based Roadtrek Simplicity Recreational Vehicle and came up with a simple plan that would give the client the information and features he wanted. The GPS-based navigation system works even in remote areas. We based the new infotainment system around a Kenwood DNX994S multimedia receiver. This source unit features a 6.95-inch touchscreen, built-in navigation and Bluetooth support for two phones, and it will play almost any digital music or video file available. 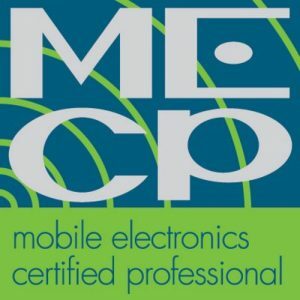 The client needed a dedicated navigation system because there is no cell phone service in some of the places he travels. 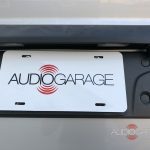 The lack of cellphone reception means that smartphone integration solutions like Apple CarPlay and Android Auto won’t work. 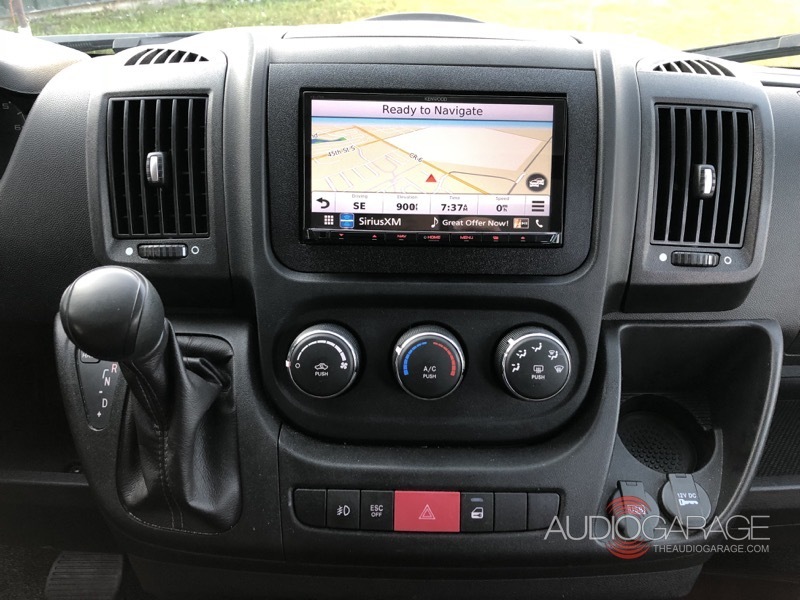 We added a SiriusXM SXV300 satellite radio tuner so that the client would be able to enjoy whatever style of music he wanted, no matter where in the country he traveled. The backup camera output is displayed on the large Kenwood screen. The new backup camera helps the client’s backing safety. Because it’s nearly impossible to see out the back of the vehicle, we added a Crimestopper CAM-400 backup camera to the vehicle. The camera is mounted just beside the license plate and its angled mounting bracket makes it look as though it came from the factory. As soon as the vehicle is in reverse, the client can see everything behind him, making it very easy to park the van in even the tightest of locations. Our technicians carefully routed the wiring through this travel vehicle. The Simplicity van comes with a 24-inch flat-screen television and a Blu-Ray player near the bed in the back. 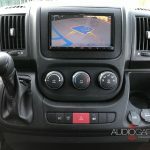 Our installation team connected the Kenwood radio to the TV so that the owner can play DVDs or digital video files from the radio on the TV. 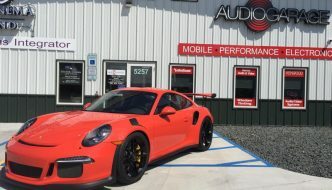 The audio from whatever they are playing can be heard through the sound system, and the infrared remote control that comes with the radio makes it easy to use without having to go to the front of the vehicle. With the new A/V system installed in the dash of the camper and all the systems tested, it was time for the clients to check out their upgrade for the first time. They loved the simplicity and accuracy of the navigation system and liked that their SiriusXM subscription would let them enjoy music without interruption as they traveled. 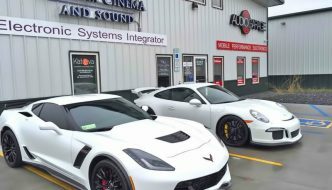 If you are in the Fargo area and are interested in upgrading the A/V system in your car, truck or camper, drop by Audio Garage and speak with one of our product specialists. 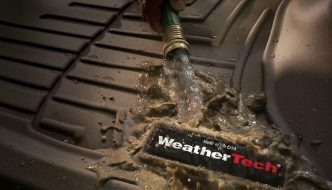 We’d be happy to help you choose an upgrade that meets your needs and get it installed for you. For more information or to schedule a personal consultation, give us a call or send an e-mail using our online contact page.